Browse the white section of the wine list at almost any good seafood-specialized restaurant in town and you’re likely to find a selection of Chablis. The dry, lean and classic flinty-mineral style of these single-varietal Chardonnay wines make them the ideal pairing with oysters, shellfish and almost any fish dish. But what do we really know about this region, tucked up in the northwest corner of Burgundy? 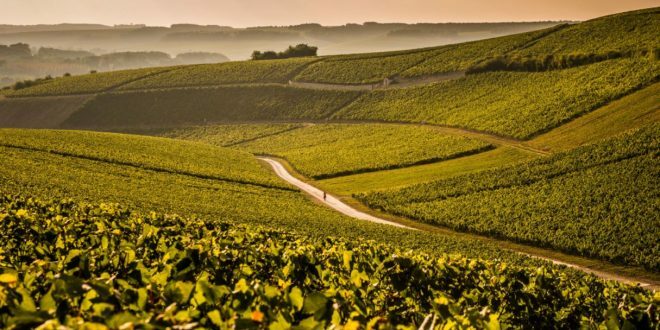 Let’s take a closer look at Chablis, its four appellations and the geographical features that so strictly define them. Although winemaking in Chablis, as in many other regions in France, dates back to ancient Roman times, it was the Cistercian monks of the Abbey of Pontigny who, in the 12th and 13th centuries, really first developed the vineyards here. It was also during this time that the churches of Saint Martin and Saint Pierre (also the patron saint of Chablis) were built, along with the Saint Cosme priory, the Hotel Dieu, the Petit Pontigny, and the ramparts of the town of Bourg, partially financed by the 10% grape tax paid by vintners in the area. The region joined the Dutchy of Burgundy in the 15th century. For some time, Chablis enjoyed lucrative trade with the Parisian market, easily accessible by means of the nearby Yonne River, which feeds into the Seine. From there these wines spread to international markets, including the UK in the 17th century. But the history of Chablis has not always been so bright. In 1568, the region was attacked by Huguenots, who burned down the upper part of the town and ransacked Bourg. This devastation took almost two centuries to completely recover from. The new railway system constructed at the end of the 19th century linked previously inaccessible regions of France with Paris, which brought new competition from less expensive wines. In 1887, the region was hit by phylloxera, which laid waste to the vineyards, followed by two World Wars, which claimed the lives of many young men from the region. 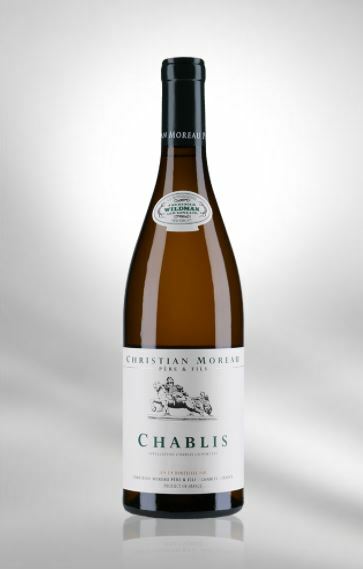 In 1955, Chablis had been reduced to only around 550 hectares of vine. It’s also worth mentioning that Chablis is, by nature, a difficult wine region in which to prosper. Deep freezes are common in the winter, as are spring frosts that radically reduce yields in certain vintages. The summers here are often not long enough to allow the grapes to ripen fully. Technological advances aimed to counter loss from frost (including a system of heating the vines) and a booming international demand for Chardonnay have, nevertheless, led the region into a new golden era, beginning in the end of the 20th century. In 1938, the Institut National des Appellations d’Origine classified the region under its own “Appellation d’origine contrôlée” (AOC) and set strict rules for the production of wines within its boundaries. 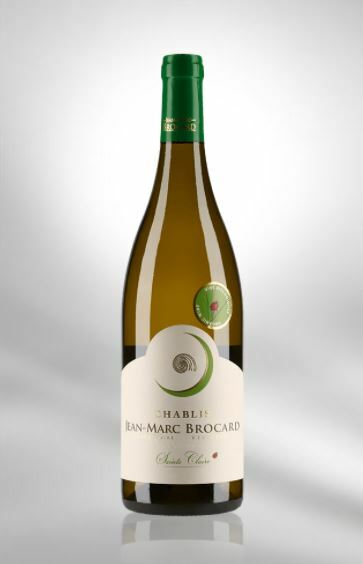 This was partly done as a way to protect the name “Chablis,” which was being used at this time to sell wines from other regions that were not even remotely similar to the dry Chardonnay wines of north-western Burgundy. But the classification story of Chablis does not end there. 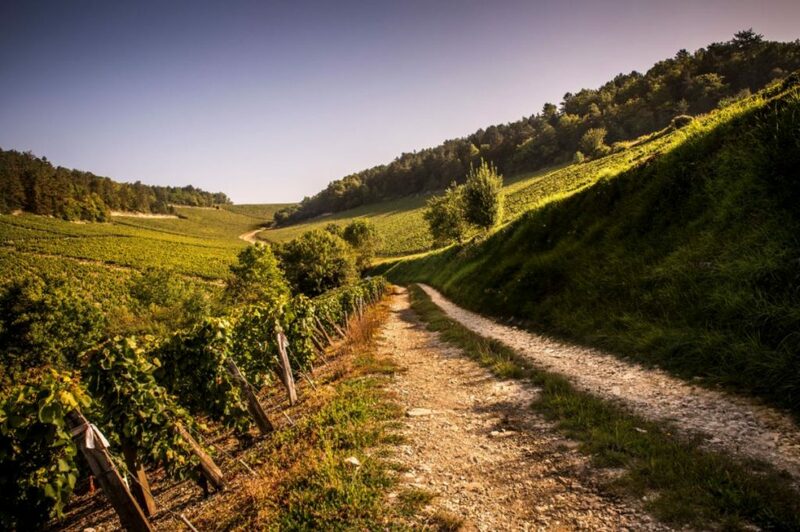 In the same year, the Chablis Grand Cru appellation was created to distinguish a slope with southern exposure, where grapes have the best chance of reaching optimal ripeness. On the steep slopes of Chablis Grand Cru, the Kimmeridgian soils, known to contain fossilized oyster shells and contributing a beautiful flinty minerality to the wines, are visible on the surface. This appellation currently comprises seven named climats (Preuses, Bougros, Vaudesir, Grenouilles, Valmur, Les Clos and Blanchot), producing the most prized wines of the region. Chablis Grand Cru tends to age very well and are often treated with oak to give the wines an unctuous, slightly smoky quality. The AOC Chablis Village is the most widespread appellation, accounting for 66% of the total production of the region. These wines, truly emblematic of the region, tend to be a bit simpler than those of the Grand Cru, and are commonly identified by their aromas of white flowers, gunflint, citrus, along with tell-tale notes of hay. Unlike Grand Cru, these wines seldom see oak and are instead produced in stainless steel tanks. 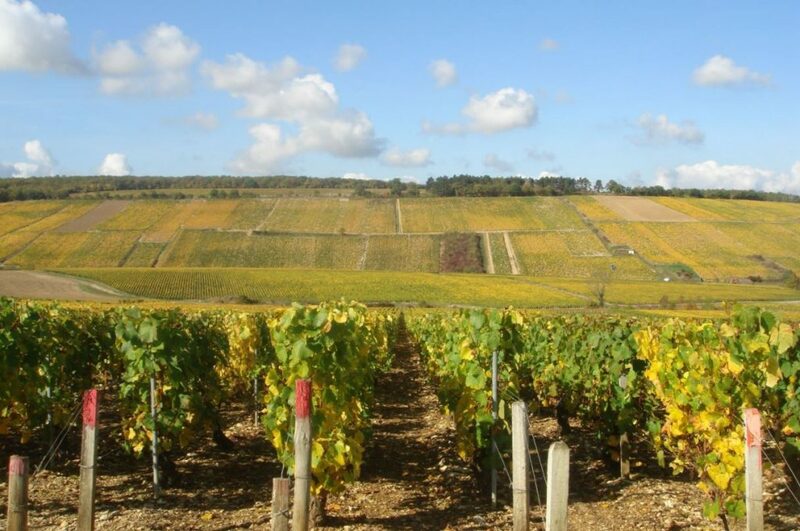 Extending over 40 climats, further subdivided into ~80 specific vineyards, is Chablis Premier Cru. The vines are grown on mainly southeast facing slopes with more exposure to the sun and enjoy a higher presence of limestone marl in the soil. The wines here are made under controls between those of the AOC Chablis and Grand Cru, often with partial barrel fermentation or maturation. Several Premier Cru wines – most notably Montee de Tonnerre and Vaulorent – are considered to be very close in richness, maturity and complexity to the more prestigious Grand Crus. The least prestigious of Chablis appellation, Petit Chablis Village, was created in 1944 and covers vineyard sites planted in more recent Portlandian limestone soils on the plateau towering over the Grand Cru and Premier Cru vines. These vines are exposed to more wind and they are not angled in a way to maximize exposure to the sun, resulting in less ripe grapes that make for less complex wines. 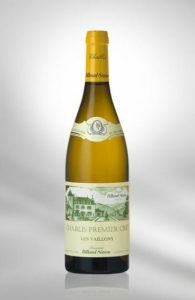 These straightforward, easy-drinking Petit Chablis wines are meant to be consumed in their youth and enjoyed for their refreshing green fruit flavors and lower alcohol content. In a nutshell, the difference between Chablis Village and Petit Chablis Village has to do with the quality of the soil and exposure to the sun, while differences between Grand Cru and Premier Cru have more to do with location and the facing of the vineyard slopes. As with the rest of Burgundy, it is also true in this region that the flavors of a given wine depend strictly on the parcel where the grapes are grown and the climat of that parcel. So, instead of generalizing about common flavors to be found in the wines of Chablis, let’s take a look at some of our favorites. The 2016 Chablis les Domaine Sainte Claire is a wine produced from fruit harvested from vines in Prehy and Courgis. It is matured exclusively in stainless steel. 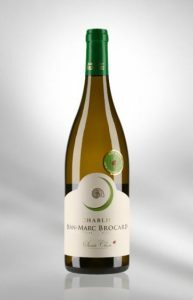 This Chablis Village offers a crisp and very straightforward bouquet, with subtle marine fragrances. The palate is beautifully well balanced, revealing notes of white peach and bitter lemon at the beginning. The wine has a modest weight on the palate and very nice focus. 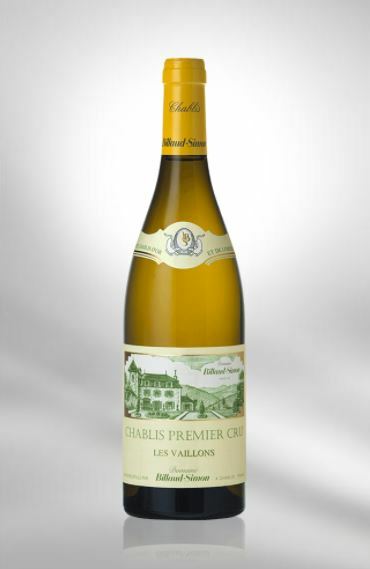 The 2015 Chablis 1Er Cru Vaillons from Billaud-Simon offers at the tasting a clean, very precise and chalky bouquet with subtle marine hints of freshly shucked oysters appearing toward the end. The palate is beautifully balanced with a fine, refreshing acidity. This wine presents focused precision and a pleasant touch of minerality, with subtle notes of flint adding an edge and tension, which lasts until the finish. The Domaine Christian Moreau Pere Fils Chablis Village 2016 is resplendent with aromas of fragrant peach and nectarine. Although not very complex, this is a very pure wine, a pleasure to consume. The palate is very well balanced with a fine level of acidity and a saline note appearing in the second half of the tasting. This wine is to be enjoyed over the next four to five years.